A Boston Food Diary: Ricotta Parsley Lime Dip- a uniquely refreshing and creamy dip! 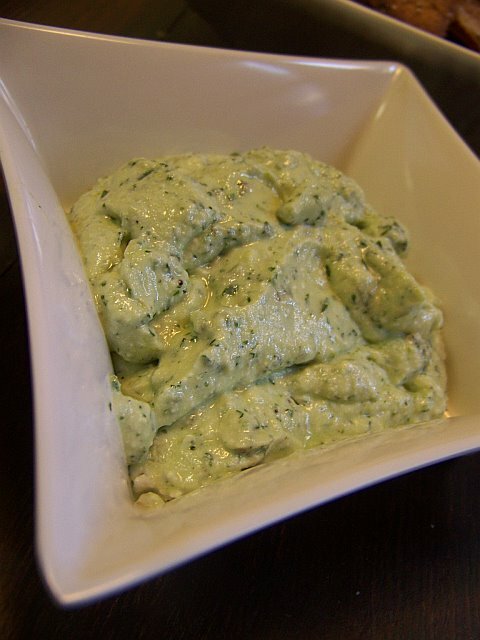 Ricotta Parsley Lime Dip- a uniquely refreshing and creamy dip! 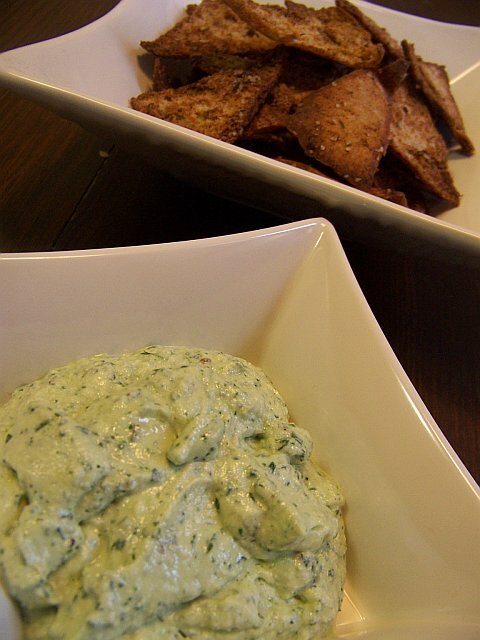 Last winter I was looking for a dip that would pair nicely with spicy homemade pita chips. I wanted something cooling, a bit creamy, and something refreshing. I often find that creamy dips don't really provide any refreshment-they are just cream-heavy and indulgent. I had some fat free ricotta in my fridge that was ready to be used for the last time, a lime, parsley, and garlic. I thought that I would throw them together and hope for the best. I started by zesting a bit of the lime into the bottom of my food processor with a single clove of garlic roughly chopped. Then I added a handful...and a half of fresh parsley, no chopping needed, and a cup to a cup and a half of the ricotta. I turned on the food processor, and gradually added a small stream of olive oil as it blended. Total I probably added a tablespoon and a half or so. The result was tangy and citrusy-adding that wonderful element of refreshment combined with the beauty of whipped ricotta blended to perfection with cooling and fragrant parsley. I fell in love with this dip, and since have made it numerous times, including this past weekend. This weekend I ended up using fresh, beautiful ricotta from Maria's Mercato. The texture, consistency and flavor was so much better than the fat free grocery store kind, but it absolutely changed the dip so I ended up playing a lot with the ratios of juice to parsley to ricotta. I think that this is one of those delightful recipes though that asks to be played with, to find the balance of flavors that is right to you. Definitely give it a shot- it might sound strange, but I'd love to hear your thoughts! I think this sounds delish. And with all the "make your own ricotta" articles out there, you don't even need to have ricotta in the fridge! It doesn't sound strange. Different...maybe, but that's always good in a recipe! I have been so lucky to taste this dip and I'll be honest, I think I almost finished it off by myself....the combinations work so surprisingly well together!